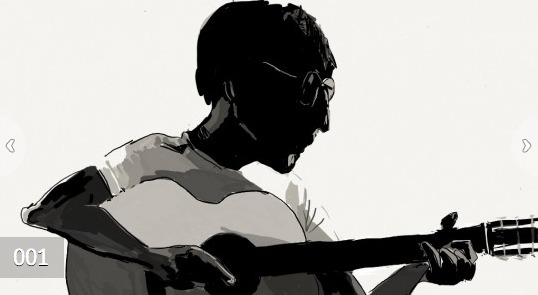 A great new Beatle podcast has recently hit the internet airwaves. It’s called Something About the Beatles and is co-hosted by two highly respected Beatle authors, Robert Rodriguez and Richard Buskin. If the first two episodes are anything to go by, this will be one worth downloading on a regular basis. The two bring unique and well-informed eyes to a topic they both clearly love. American Rodriquez (Solo in Seventies; Revolver: How The Beatles Reimagined Rock ‘N’ Roll; Fab Four FAQ and Fab Four FAQ 2.0), and Britain’s Buskin (The Complete Idiot’s Guide to the Beatles; Days in the Life: The Lost Beatles Archives; John Lennon: His Life and Legend amongst many others) complement each other with different experiences of growing up fascinated by the Beatles. They are both knowledgable of course, but also have a lot of fun with their topic too. There are no sacred cows here. 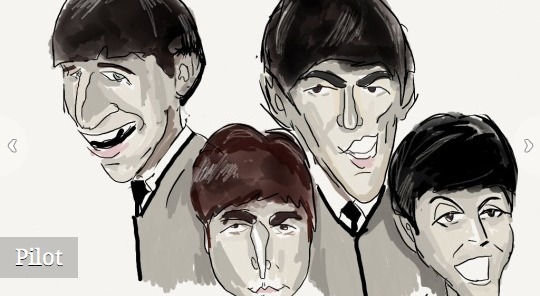 The homepage for the podcast features cool original artwork by Executive Producer Rick Wey: The podcast is also unique in that the pair play real Beatle music to illustrate what they are discussing – something we’ve not heard before. Highly recommended. This entry was posted in Beatles, Beatles Music and tagged Beatle podcasts, Beatles, Richard Buskin, Robert Rodriguez, Something About the Beatles by beatlesblogger. Bookmark the permalink.